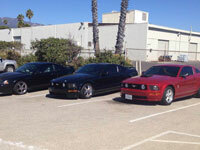 Note: Valley Mustang Club reserves the right to combine or add classes based on pre-registration. Participants will be notified at the day of show of any changes. 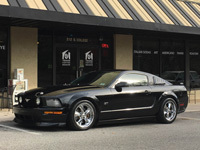 When: Saturday June 8, 2019, 9:30 a.m. to 3:00 p.m.
For Mustangs who do not wish to be included in the judging, we have a special display area set aside just for you for only $10.00 per car! Since there will be no judging, no awards will be presented. 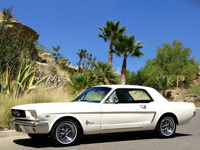 Pony Corral exhibition entries register and pay at the car show entrance. First Vehicle: $40.00 (includes event t-shirt) — Additional Vehicles — $25.00 (same owner): if paid on or before June 1! Pony Corral Exhibition will be $10 per car (any time before and on day of show) and no trophies will be awarded. No refunds after June 1, 2019. Participating vehicles must remain parked until after the awards presentation. Show car parking from 8:00 a.m. to 9:30:00 a.m. 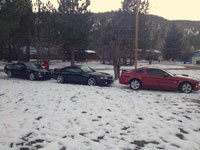 I agree to abide by all rules, regulations and restrictions set forth by the Valley Mustang Club. I understand that I am responsible for my vehicle and its contents. NO ALCOHOLIC BEVERAGES ALLOWED. I understand that a confirmation e-mail of this entry will be sent to me if received on or before June 1, 2019 providing a valid e-mail address is provided. I agree to release Valley Mustang Club, its members, Rancho Santa Susana Community Center and all sponsors of this car show from any and all liability for damage, injury or loss of property during this event. Please fill out all the information below for each car you are entering.